Roxanne Wright, has been named ‘Apprentice of the Year’ by the Royal Society of Chemistry (RSC). 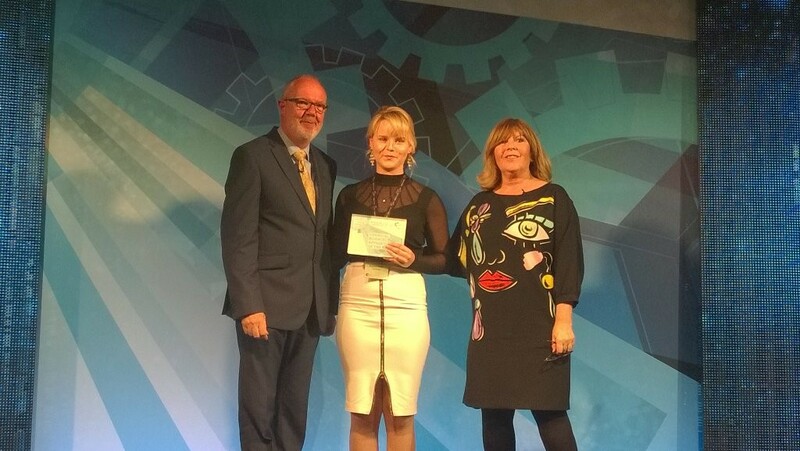 Roxanne, an apprentice at AstraZeneca in Macclesfield, who is studying for a Chemical Science Degree Apprenticeship at Manchester Metropolitan University was awarded the prestigious accolade at a ceremony at Manchester’s Midland Hotel. Part of the RSC’s ‘Chemistry Means Business’ flagship event, the award recognises the outstanding achievement of an apprentice working in the chemical sector. Susan Smith, Product Development Manager at AstraZeneca said: "From the moment she stepped into AstraZeneca, Roxanne has been fearless in her pursuit of knowledge, and her love of science shines through in her every interaction. I am immensely proud of her success and she is a wonderful role model for apprenticeships – we can all learn from the endeavour and drive of young scientists like Roxanne!" Roxanne joined AstraZeneca in 2014 on an Advanced Apprenticeship and has this year progressed on to the first year of a degree apprenticeship. Her recognition demonstrates the impact apprentices can make in the workplace. This is the second time this year a degree apprentice at Manchester Met has made an impact at a national science and engineering awards ceremony. Nadia Johnson, a Digital & Technology Solutions degree apprentice with Thales UK, was previously nominated for Young Female Engineer of the Year at the Institute of Engineering and Technology Awards. Find out more about the Chemical Science Degree Apprenticeship.